DO: Buy MDA certified firewood. 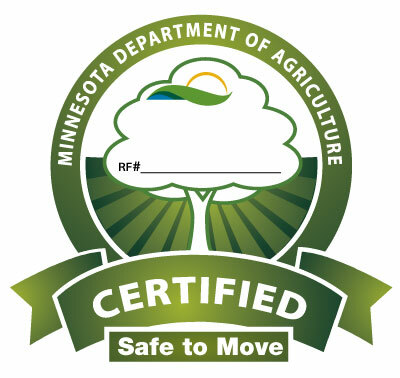 MDA certified firewood has been treated to state standards and the MDA has verified the firewood safe to move throughout the state. Look for the MDA certified seal. DO: Report firewood violations to MDA. 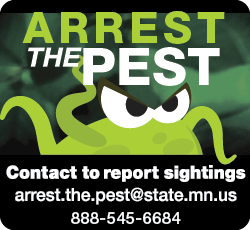 If you have any questions regarding safe to move firewood or suspect a tree has a reportable pest contact the MDA’s Arrest the Pest at Arrest.the.Pest@state.mn.us or 888-545-6684. It is illegal to transport hardwood firewood out of Minnesota quarantined counties unless it is MDA certified firewood. Moving uncertified hardwood firewood out of quarantine counties is illegal and is punishable up to a $7,500 fine per violation per day. Be aware of the current regulations and quarantines surrounding firewood movement. Know the difference between MDA Certified (heat treated for EAB and state certified) and DNR Approved (local firewood for state lands only). Additionally, MDA Certified Firewood may move unrestricted, but DNR Approved Firewood may not move out of the quarantine. If you buy sell packaged or in bulk firewood, make sure it is labeled with harvest location by county or counties and state on each label or wrapper and for bulk on each invoice or receipt. Learn more on selling and labeling firewood. 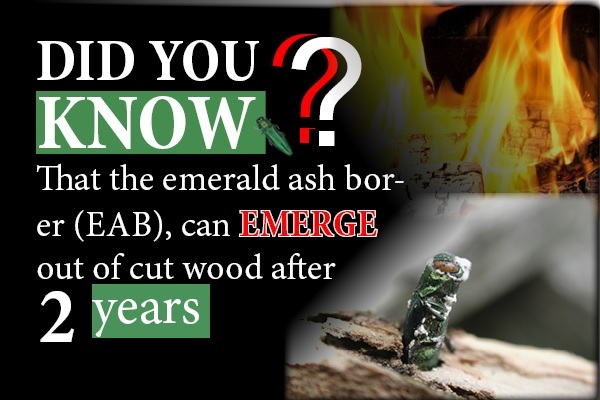 Know which counties are quarantined for Emerald Ash Borer, and that hardwood firewood cannot move out of these counties without restrictions, including a signed compliance agreement. Know there are restrictions on the movement of hardwood firewood into and within the state of Minnesota, because of Thousand Canker Disease of Walnut. Agreements called Compliance Agreement are available from the Minnesota Department of Agriculture that will allow the movement of hardwood firewood within and into Minnesota. Be aware that if you violate the law you may be fined up to $7,500 per violation, per day.